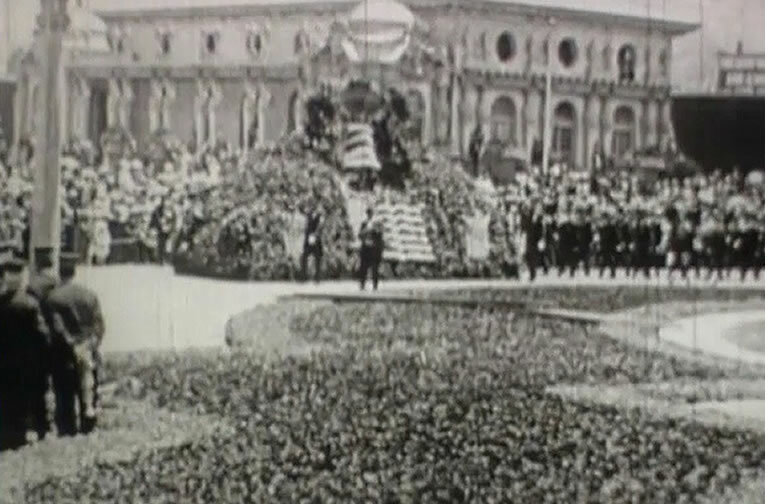 SAN FRANCISCO (KGO) -- Bay Area historians marked a big event on Friday that took place exactly 100 years ago in San Francisco. On July 17, 1915, the Liberty Bell paraded along the streets of San Francisco, on its way to the 1915 Panama-Pacific International Exposition, for Liberty Day at the Fair. 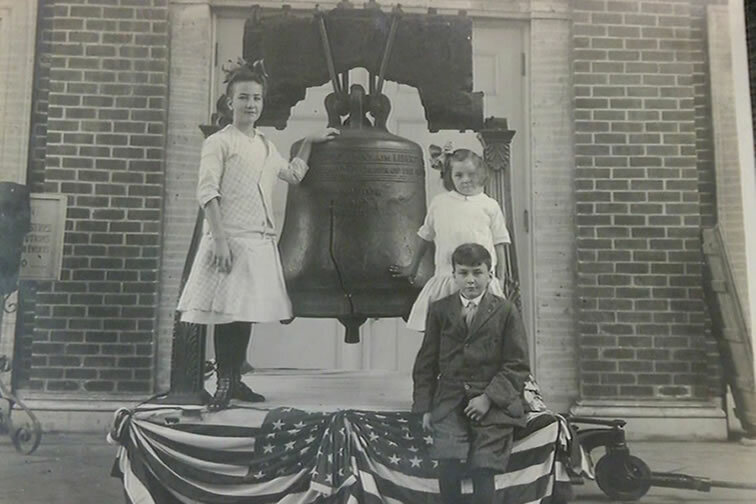 That was the last time the Liberty Bell left Philadelphia. The Liberty Bell paraded along the streets of San Francisco on its way to the 1915 Panama-Pacific International Exposition on July 17, 2015. 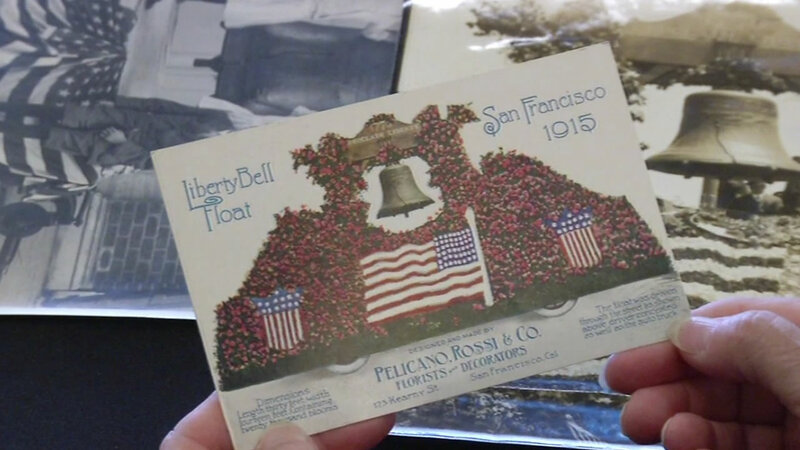 The moment is special for Rose Marie Cleese since her grandfather's floral company provided 20,000 roses for the float that carried the Liberty Bell. Cleese is the granddaughter of former San Francisco Mayor Angelo J. Rossi, who was the 31st mayor of San Francisco, serving from 1931-1944. Cleese shared previously unknown pictures of the Liberty Bell in San Francisco with the California Historical Society. "They've been in boxes with a lot of other photos. I thought they were very cool. I don't know if they have ever seen the light of day since they were taken and boxed," Cleese said. Angelo Joseph Rossi children. From left to right: daughter Eleanor Rossi, daughter Rosamond Rossi, and son Angelo J. Rossi. The California Historical Society is asking the public to upload pictures from the 1915 World's Fair to an online project. To find out more about how you can help with the photo project visit PPIE100.org. CLICK HERE for all of our stories on the 100th anniversary of the 2015 World's Fair in San Francisco.